They are found growing in groups in wet woods and meadows. They have a nodding, lily-like flower with 3 petals, 3 sepals all curved backward. 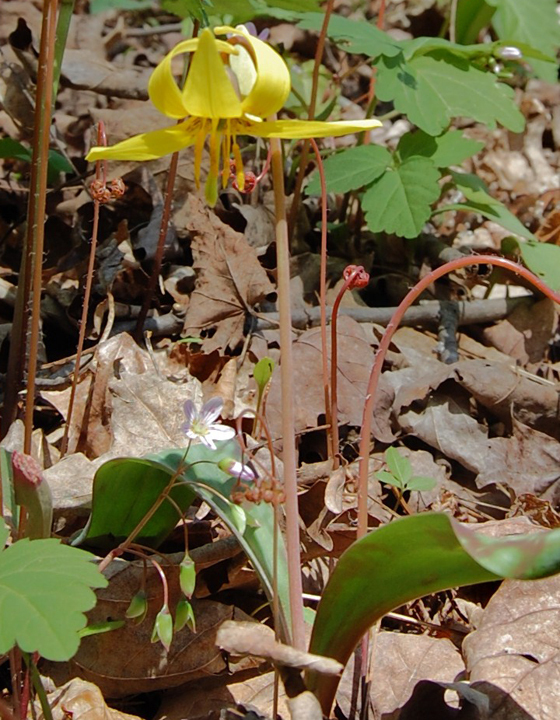 The flower is yellow inside and golden outside on a leafless stalk. The leaves are long, large and pointed at the end with brown spotting. They bloom April through June. 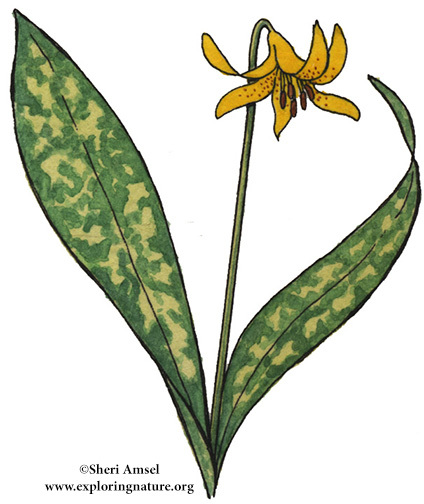 Also called, Yellow Adder's Tongue.